As mentioned in the previous post, there will be some work taking place in the basement of the Oriental Institute for the first few weeks of November. We hope that this will not disturb readers, as the contractor intends to do most of the noisy work outside office hours, but wanted to remind people that there might be some disruption in the far end of the basement for a period of time. Following a reorganisation of several Humanities libraries including the Taylorian and Sackler as well as OIL, Kenan and Natalija will be spending some of their time at the offices at Osney. This is part of a drive to consolidate as much as possible all technical services (cataloguing and classification) work in one place. This week (30th October – 3rd November) marks the first week when both Ken and Natalija will be at Osney for part of their time; we hope they find the change of scene enjoyable and productive! We have had several questions from new readers over the last few weeks about borrowing books from the BSF. Most of the BSF books cannot be borrowed and must be read in the library. 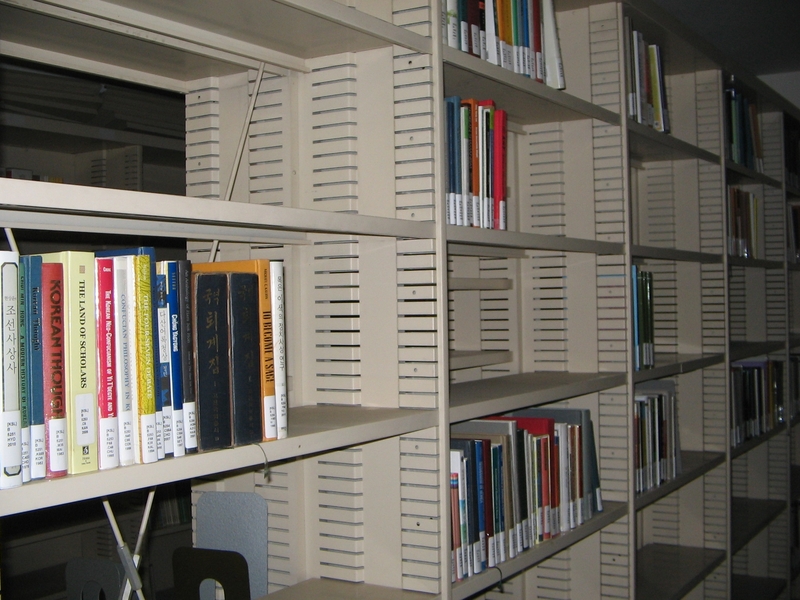 The majority of books kept at the BSF belong to the Bodleian, and are therefore subject to the no-lending policy which is common to all Bodleian materials. A few of our own books which are stored at the BSF can be borrowed; these will either be part of the Arabic Literature collection or the Aris Collection of Tibetan books. Do ask if you are not sure, but it is probably best to assume that most of the stack books cannot be borrowed. On the subject of the BSF books, please remember to bring those books back to the desk at the end of the day. We would prefer that these materials, which are not our property, be kept in the office when not in use to ensure that they are not accidentally removed from the building. We will only send books back when they have reached the end of their consultation period, so please keep an eye on your patron record and renew any BSF books before they are due to be returned. As long as nobody else has put a hold on them, you should be able to continue to renew BSF books for as long as you need them as there is no upper limit on renewals. Finally, please remember that food and drink are not permitted in the library, including Keep-Cups, which are permitted in some of the other Bodleian Libraries. Only sealed water bottles are allowed. We have found some food wrappers in waste bins in the library and would request that readers who are desperate for a snack please take them down to the common room. This entry was posted in Book Storage Facility Books, Building Works, People on 3 November 2017 by katieguest. During the Long Vacation – and starting next week – there is going to be some disruption in the Oriental Institute Library to accommodate collections which are going to be stored here as an interim measure. The following is a statement from James Legg, Head of the Humanities Section, and Gillian Evison, Head of the Oriental Section of the Bodleian Libraries [with minor amendments in square brackets]. 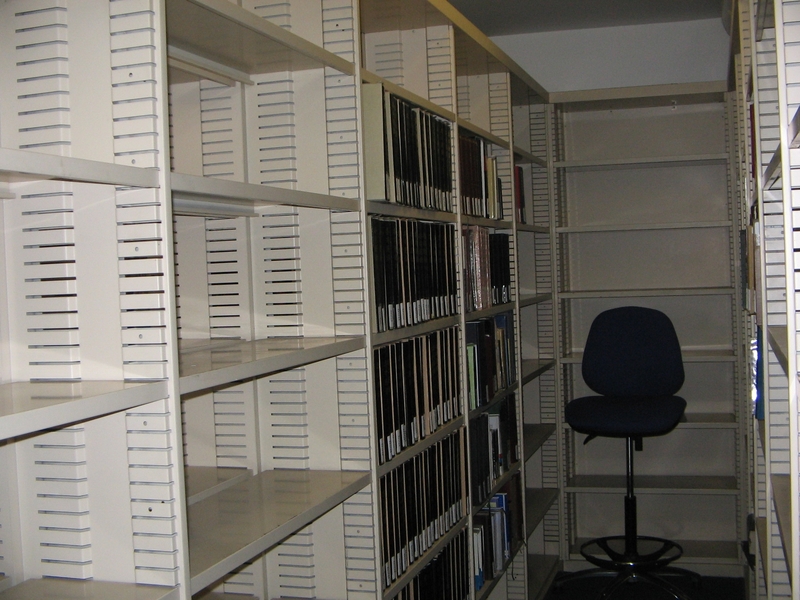 – the Hebrew and Jewish Studies folios will move to the other end of the HJS section. These moves will consolidate the periodicals sections, give more space to rearrange material as the reclassification project proceeds, and create a separate space for the collections being processed in the basement. If you have any questions or concerns about these moves, please contact Library staff, who will direct your question to the most appropriate person. We advise keeping an eye on the Facebook Page/Twitter feed for short-term notices about the moves, and will produce a floor-plan of the new locations in the basement when the moves are complete. This entry was posted in Book Storage Facility Books, Japan/Korea Collection, Jewish Studies Collection, Re-organising the Library, South Asian Collection on 14 June 2016 by katieguest. As ever, your humble blogger is struggling to find anything to say about July. Various members of staff have taken holidays and the library has been its usual slumbering summer quiet with dedicated readers quietly getting on with their work and only the occasional enquiry to wake us up. We have had our SunRay computers – the two nearest the windows – replaced by the new Kiosk PCs; readers have alerted us to the fact that there are blocks to some popular websites on these machines, so do let staff know if you come across anything you feel should be accessible. This is a new system so will take time to settle in, but we should be able to request that IT provide access to resources which our researchers require. We have an exciting announcement for those of you who use the Book Storage Facility books: from August 1st, the clever people who run Circulation will be switching on a new tool which means that readers will receive an email to inform them that their request is going to lapse, meaning that readers will no longer need to remember when they ordered something and when they need to extend the consultation period. The emails will be similar to the ones which readers who have borrowed books receive, but the wording will be slightly different. If you receive an email about a book which you do not wish to continue consulting you need do nothing, but if you wish to retain a book on the reserve you will need to renew it using your patron functions on SOLO. Do ask library staff if you have problems with this and we can renew items for another week. We hope that this will mean that fewer books are sent back in error, which readers will know can cause problems at busy times for the BSF as it can take a while for items to be returned to library locations. Except to remind everybody in advance that the Library will be closed over the August Bank Holiday weekend as usual – that’s the 29th-31st August this year. This entry was posted in Book Storage Facility Books, Electronic Resources, News, Services on 31 July 2015 by . The eagle-eyed amongst our readers may have noticed that there was no news blog at the end of January. This was because we decided that it would seem excessive to blog twice in a week – having announced the results of the Stapler competition a few days earlier (and besides which that was the most exciting thing which happened in January!). February has been busy for us in terms of readers; it is always gratifying to see the library being well used! With this in mind, however, we do have a few little reminders for people. Firstly, please remember that you are allowed bottles of water in the library but other drinks are NOT allowed as they could potentially damage the books if spilled. We will remove drinks if found on desks, and they can be claimed when you leave. 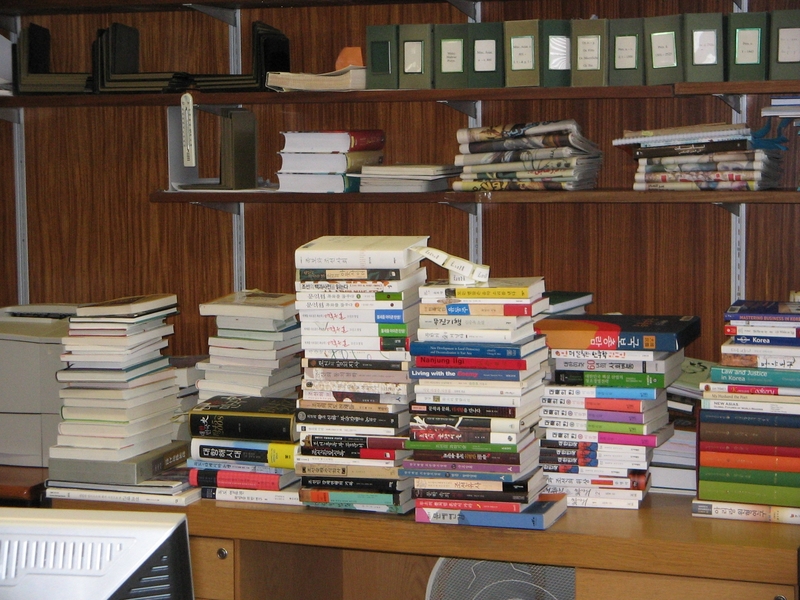 Secondly, as the library is busy and the turnover of books is quite high at the moment, the library staff are endeavouring to maintain a more regular shelving routine, including clearing desks in the mornings and doing a whizz round in the afternoons so that there is not too much accumulation. We hope that this will help to solve the perennial problem of readers not finding books on the shelves because they are on desks. Readers are reminded that you are permitted to keep books on a desk to be used the following day as long as you fill in one of the paper slips provided around the library for that purpose (if the area where you are working has run out, please inform the staff and we will print more). Books left with out-of-date slips (i.e. not the previous day’s date) will be reshelved. Thirdly, please do not leave books from the BSF on desks at the end of the day. These books belong to the Bodleian and should be returned to the staff desk so that they can be put back on the reserve in the office. We receive a daily lapse-list of BSF books which should be sent back, and endeavour to keep on top of this, so keeping all the books in one place greatly facilitates this. If you wish to keep BSF books for longer than the initial week, you can renew them on SOLO. The main reason a renewal would not be allowed would be if someone else had requested the same book, either to OIL or to another of the Bodleian reading rooms. Please note that if you do not remember to renew, and the book is returned to the BSF, there may be a delay of at least a few days before it is re-ingested at the BSF and can be returned to the library. Unfortunately this is something over which we have no control, so it is essential that readers make sure that their books are promptly renewed (or let us know so we can do it for them in an emergency). And fourthly, a further plea; if you have used a book and are not absolutely sure where it came from on the shelves, please do not panic and shove it into the most convenient space in roughly the right section! We find mis-shelved books on a daily basis and it does make everyone’s lives harder if the item they want is somewhere other than where it should be. A book can effectively vanish if it is shelved out of sequence, and although we do regular moves which do pick up these situations it helps us immensely if people don’t put things in the wrong place to start with. If you are not absolutely sure where you got a book from, please leave it either on one of the reshelving points between the desks on the right-hand (window) side, or on the trollies near the staff desk. And finally, advance warning that the library will close for Easter on Thursday 2nd April and re-open on Tuesday 7th. Vacation loans will start next week, with books due back on the 28th April. This entry was posted in Book Storage Facility Books, Loans, Opening Hours, Re-organising the Library, Services on 4 March 2015 by . As we are closed after today (Wednesday 27th) until next Tuesday, and as your humble blogger is off that week, I am posting the March edition of our News a couple of days early. March has been a busy month, and not just in terms of reader numbers, which were quite high as the end of term approached, dropping off noticeably once the vacation started. For one thing, we have now implemented Short Loans for the “Apply Staff” books, see previous post on this blog for details. One further comment on this, however: there was some confusion about readers with yellow cards which are reference only, and after a bit of experimentation we can happily say that we can loan Short Loan books to these types of card, although obviously only to be used in the Library. Overnight loans for readers with a reference only status would still not be allowed unless under exceptional circumstances and at the discretion of the librarian. As well as this change, there has been the wider Bodleian Libraries change of policy over fines. Since March 18th we have been able to take payment of fines from any Bodleian Library, rather than just for our own. Some restrictions apply; for instance we would not be allowed to take payment for a lost book from another library, but we hope that this facility will make it easier for readers to clear any fines they have in one place, rather than wandering all over Oxford, and it is likely to be especially useful to final year students who need to pay off fines in order to graduate. Meanwhile, back at OIL, we have a new member of staff in residence. Dr Gillian Evison, the head of the Oriental Section, has moved into the office behind the staircase after a reshuffle in the Central Bodleian. Anyone who was in the library last Friday may have encountered the movers, who were very professional, especially when it came to manipulating large and awkward pieces of furniture through our somewhat cramped front office without taking chunks out of the walls. We bid Gillian welcome to OIL, and hope that she settles in to her new home with as little drama as possible! Finally, an update on the Window on Korea collection, which is still being catalogued and sent to the Library in manageable batches. The photos show the current state of the books awaiting processing, some as-yet-unpacked boxes, and the shelves downstairs at OIL which are slowly filling up both with the new books from the National Library of Korea and with older sets of Korean books which have been moved from the Book Storage Facility. Please do remember that, while the new books belong to OIL and are therefore able to be lent to readers, the books belonging to the Bodleian are still only to be used in the Library. They will have a “Ref.” prefix on their labels to make this distinction clear. Phew! Well, I did say March had been busy! Anyway, Happy Easter to those of our readers who observe it, and to everyone else, enjoy a few days off! This entry was posted in Book Storage Facility Books, Japan/Korea Collection, Loans, News, People on 27 March 2013 by . This is the first in what will hopefully become a regular monthly post of bits of news which might not warrant a whole post of their own, but will give us a chance to let people know what OIL gets up to, especially when everyone else is on holiday. Regulars will notice some changes down in the basement; the closed stack has become a friendly room which will eventually become a multimedia suite and the shelves on the righthand side of the basement are empty, awaiting a new collection which is being donated by the National Library of Korea. Watch this space for updates! The books from the closed stack are now at the Book Storage Facility. Once ingested they will be orderable in the same way as other Bodleian books and will be kept in the reserve. The Middle East Centre collection of Arabic fiction has also gone to the BSF, but will still be a borrowing collection, books will need to be ordered to the desk first. Staff are being trained in this soon, so feel free to ask us questions! These moves necessitated, as mentioned, much barcoding. 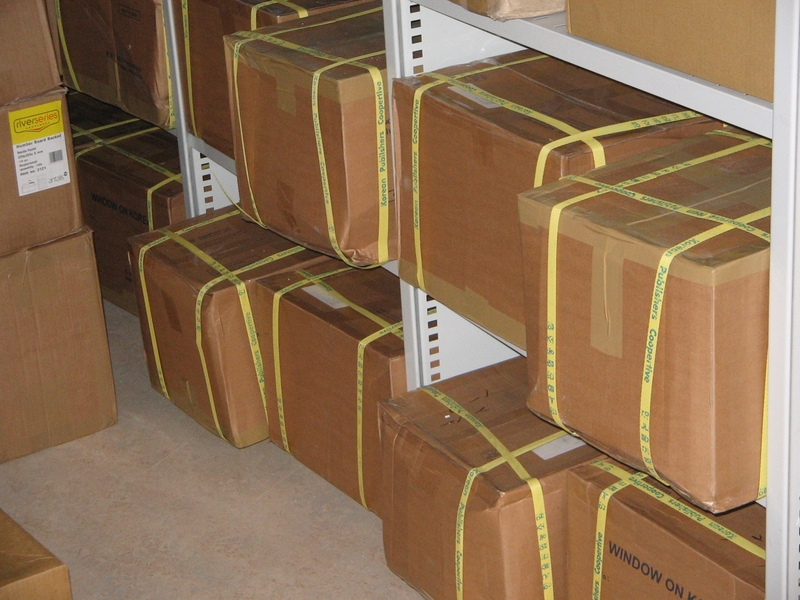 At any given point over a three week period at least one person was wading through over 5,000 Arabic books, re-barcoding each one and ensuring that it was identifiable as part of the collection. The more fragile of the closed stack books are also being boxed as part of the process, so that they will be kept in the best condition possible. Of course, there have been staff holidays for much of the month as well; so generally speaking it has been fairly quiet. We anticipate things will pick up a bit in September, which will (naturally) in no way prepare us for the onslaught that will be October! This entry was posted in Book Storage Facility Books, Building Works, Middle East Library, News on 5 September 2012 by . The book move before Easter went well- all the Bod Turk and some of the Bod Pers books are now stored in the Central Bodleian. They’re returning on Friday to try and take the rest of the Bod Pers. There have been a few requests that have taken longer than normal to process as the request has been sent to us whilst the book is in the Bod- sorry about this, hopefully soon it will stop being a problem. Meanwhile in the stock check we managed to get through all of the Minor (600s & 700s), South Asia (500s) and Islamic Religion (Bs) books. We’ll be searching for missing books soon. Finally, here’s March’s New Acquisitions list. These books will all be Reference Only for the first couple of months, so feel free to come browse them in the library! BR60.C5 A33 AGA 1962 Ref. Agapius, Bp. of Hierapolis, 10th cent. Orientalism and the Jews, 1st ed. Jewish women in pre-state Israel : life history, politics, and culture, 1st ed. This entry was posted in Book Storage Facility Books, Building Works, Islamic Collection, Jewish Studies Collection, Library of Congress Collection, Minor Collections, New Accessions, Re-organising the Library, South Asian Collection, Stock Check on 8 April 2010 by . The library staff have been doing a stock check. Readers have complained about books that say they are in place in SOLO/OLIS but aren’t actually on the shelves. Whilst some of these are probably on people’s desks, a stock check enables us to work out which books really are missing. So if you’ve seen people wandering around the OIL with little beepy machines, that’s why! We’ve managed to stock check the Minor (600s & 700s), South Asian (500s) and Islamic Religion (B) sections. Hopefully we’ll do the rest of the library in a future holiday. This entry was posted in Book Storage Facility Books, Building Works, Islamic Collection, Minor Collections, New Bodleian & Indian Institute Books, Re-organising the Library, South Asian Collection, Stock Check on 25 March 2010 by .